If anyone doubted Black Americans still today suffer unfairly from incarceration rates and other horrific inequities out of all proportion to their numbers in the population, the case was closed by Michelle Alexander in her masterly The New Jim Crow (2010). Comes now James Forman Jr., to argue convincingly that key sections of the black community themselves abetted the criminalizing of black youths in a misguided effort to make so-called law and order work for them. 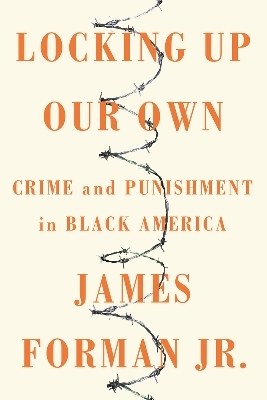 Book author James Forman, Jr. is a professor of law at Yale Law School. He has written for The New York Times, The Atlantic, numerous law reviews and other publications. A former clerk for Supreme Court Justice Sandra Day O’Connor, he spent six years as a public defender in Washington, D.C., where he cofounded the Maya Angelou Public Charter School.